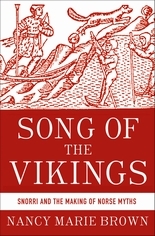 This entry was posted in Uncategorized and tagged Edda, eddas, history, Iceland, Nancy Marie Brown, norse myths, sagas, Snorri, Song of the Vikings, viking lore by william. Bookmark the permalink. Yes, I want to read this book also!